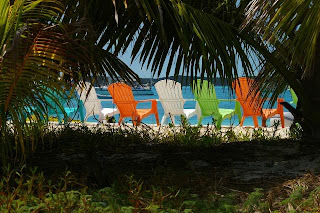 The Chat n Chill is a one-of-a-kind volleyball beach bar and grill, with access only by boat or sea plane. Boaters come from all over the world to enjoy the casual atmosphere, tropical cocktails and authentic island foods here on Stocking Island. There are six volleyball courts and over 1000 feet of white sand beach to enjoy your visit. The Friday Bonfire Beach Bash and the Sunday Pig Roast are not to be missed!